A few days ago Adam and I awoke to some heavy-lifting. Turns out, our upstairs neighbors were moving out. And today our new neighbors moved in. Or at least that’s what I’m speculating based on the noise from above. I know many of the building’s four-legged residents by name, but regrettably very few of my human neighbors. I decided to properly welcome 8J to the building. Welcome to the building! We live just downstairs if you ever need to borrow a cup of sugar or need a recommendation for a neighborhood dry-cleaner (we’ve tested four). We order far more take out than either one of us are comfortable admitting, so we can help you there too. Oh, and do what you can to avoid the three industrial dryers in the laundry room–they have a way of melting + shrinking your entire load. We think you’ll love it here (Lauren’s been living here for seven years and counting)! Welcome home! P.S. Every time I think about city-living, I’m reminded of this great HBO project that was broadcast on the side of the building downtown. Amazing! Did any of you have the chance to see it? P.P.S. 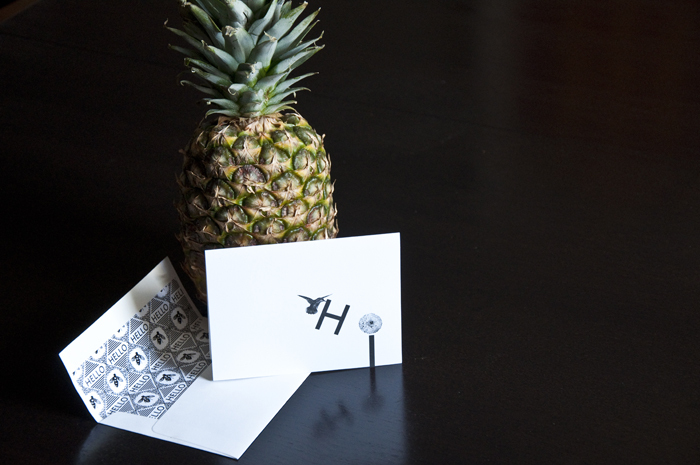 The pineapple is a symbol of hospitality + welcome.